My favorite Strawberry Shortcake is one made with cream cheese pound cake that is sold at a restaurant in our town. I had a real weakness for this pound cake and the shortcake made with it. I was terrible. 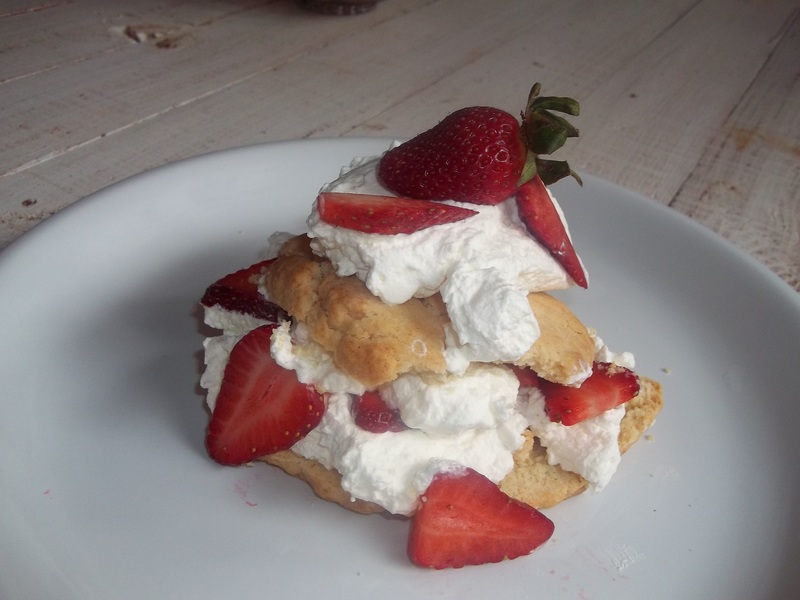 I had convinced myself while living a low-carb lifestyle that I could do much worse food cheating than I did by eating this shortcake on occasion. Then I started cooking at the restaurant. Whoa Nelly!! Every employee was given a free dessert ticket once a month so it was my monthly splurge. My excuse now? I don’t have one. I wanted to make a traditional, American strawberry shortcake. The first batch was a flop. I ended up with what were basically giant sugar cookies. I decreased the amount of sugar in the dough and tried again. Here’s what I ended up with. 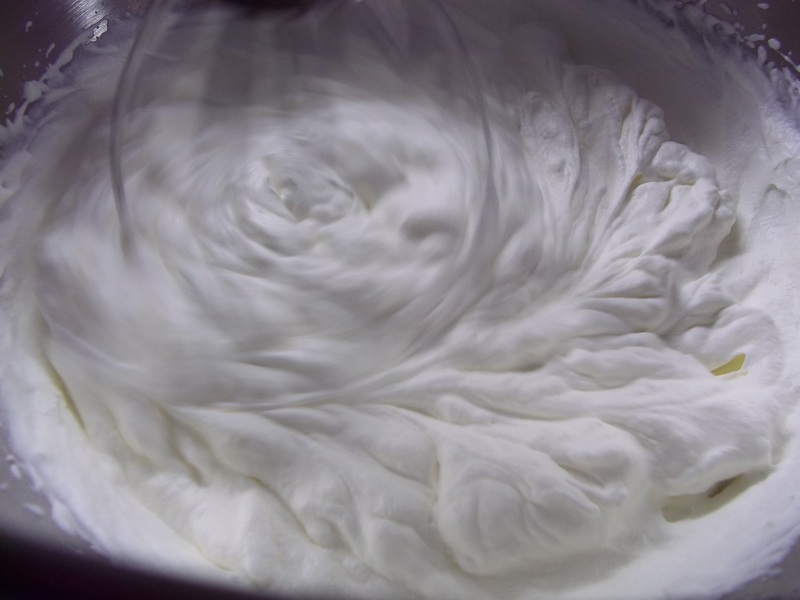 Combine whipping cream, confectioner’s sugar, and vanilla in a mixing bowl and beat until very stiff peaks form. Cover and chill. Sift together flour, salt, sugar, and baking powder in a mixing bowl. Cut in butter until mixture is crumbly. Leave some large butter crumbs, for a delicate crust. Combine sour cream and milk. 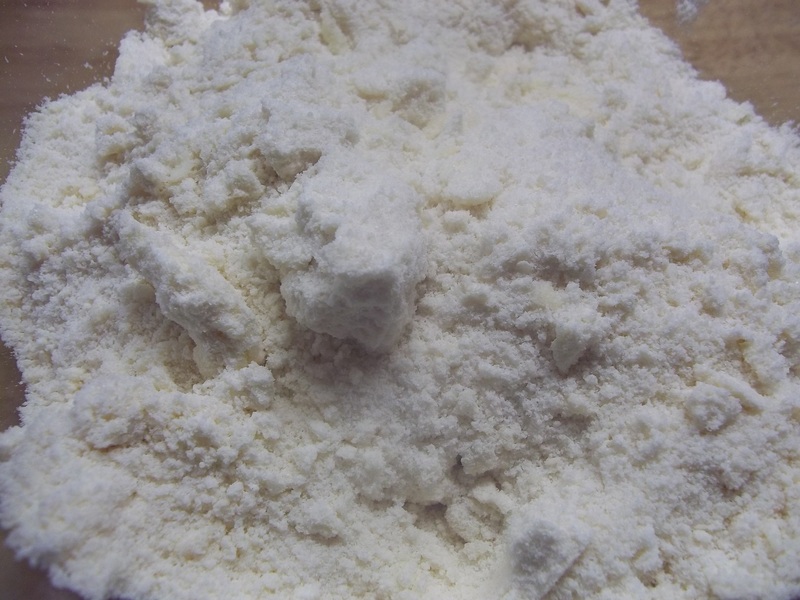 Gently mix into flour mixture just until it is able to hold together. Pat or roll into a 1/2 ” circle. Cut into 6 shortcakes with a biscuit cutter. Place, touching on a baking sheet or stone. Bake for 15 minutes. Cool on wire racks. Cut shortcakes in half through the center to make two equal layers. 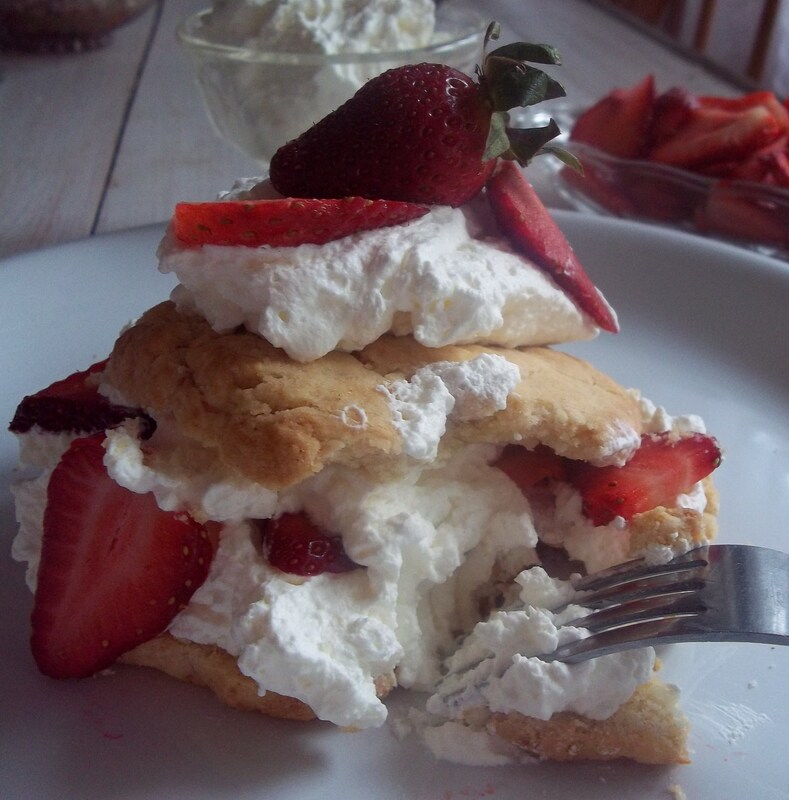 Place a dollop of whipped cream on bottom portion, add strawberries, cream, and other half of shortcake. 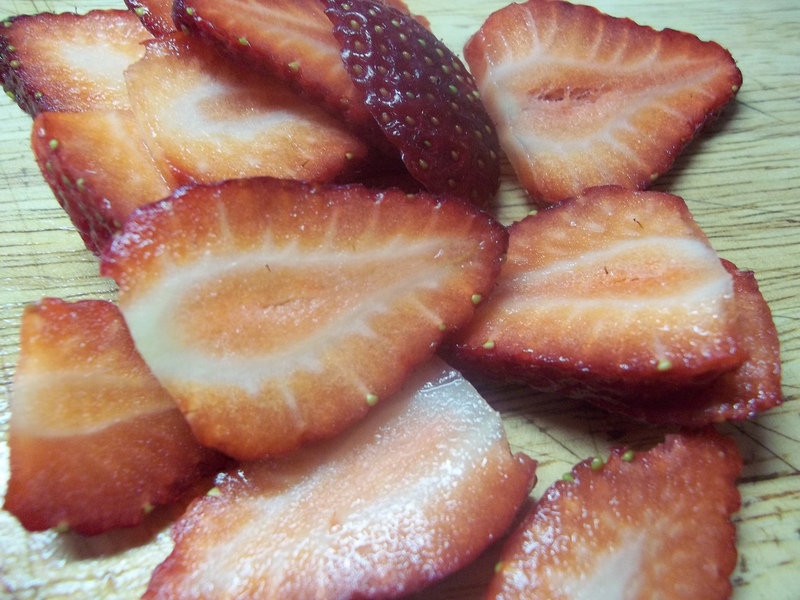 Garnish top with whipped cream and strawberries. Awesome! You know I just not seen this response to my post..oh well. Good to know about the stone..I am so glad you love yours. Nothing like the stones! Do you. Have the stone muffin pan? My new favorite one. Have a great evening. I bought the muffin pan when they first came out. I had it for about a week before I broke it right in half. I have been using one of the halves for 11 or 12 years now. I really should buy a new one.